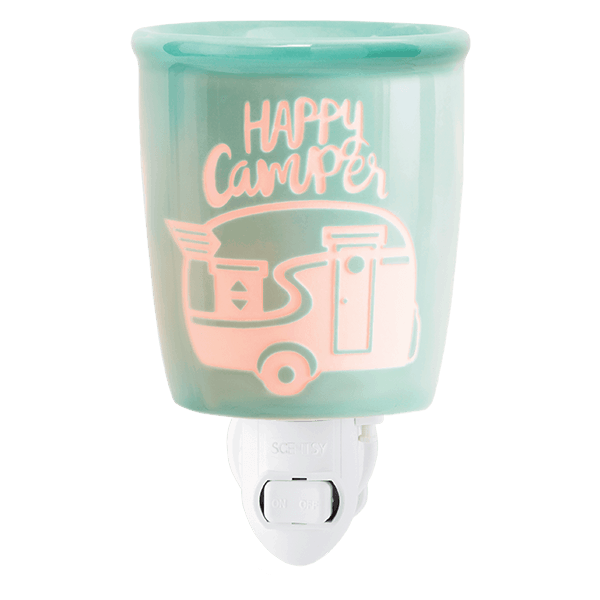 Scentsy Happy Camper Plug In Wax Warmer is perfect for uses in caravans and motorhomes.? This cute, retro-inspired camper runs on fragrance, light and pure charisma. Made of ceramic in duck egg blue.